While a week in Mexico City would be ideal, it's still possible to see and do quite a lot in 48 hours. Here's how you can spend your time. Mexico City, is in a word, immense. At an elevation of 2,240 meters, covering over 1,400 square kilometers, and boasting a population of 21 million, the numbers alone are enough to intimidate new arrivals. While a week in Mexico City would be ideal, it's still possible to see and do quite a lot in 48 hours. Here's how you can spend your time. Mexico City's historic city center, designated as a UNESCO World Heritage Site, deserves a full day in itself. The Zocalo, or main square, is one of the largest in the world, and features the Metropolitan Cathedral, the largest in the Americas. Adjacent to the Cathedral, or perhaps I should say underneath it, are the ancient Aztec ruins of Templo Mayor. Discovered by accident in 1978, the site of the Great Temple continues to be excavated and studied, and offers a fascinating look back at the history of how this land was once used. Entrance to the ruins costs $4.75, and includes access to a large, modern museum built on site. 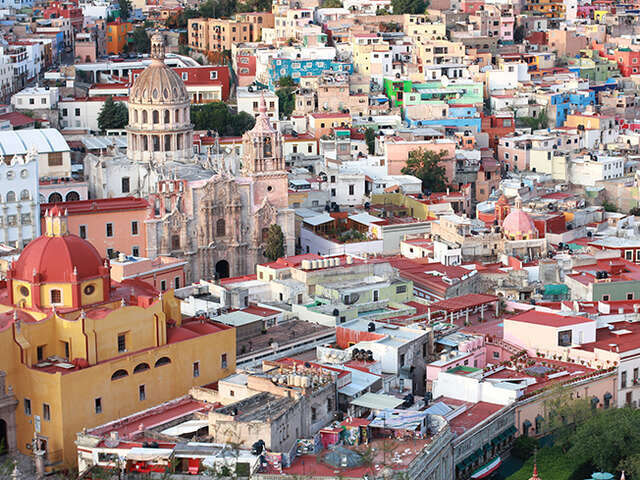 The National Palace faces the main plaza, and is known for its Diego Rivera murals depicting Mexico's history. A fifteen minute walk west from the Zocolo on the pedestrian-only street of Francisco Madero leads to one of Mexico City's most beautiful buildings, the Palace of Fine Arts. Built in the Art Nouveau style, the palace hosts performances by the Mexican ballet, as well as a museum featuring temporary exhibits, and large murals, including several by Diego Rivera. The incredibly clean Parque Alameda, next to the Palace of Fine Arts, offers locals and tourists alike the chance to grab a bench by one of several fountains, and take a break. If you still have energy left by this point, there are several more museums and churches dotted around the park.